Jordan is a real estate agent servicing Manhattan, Junction City, Wamego, and surrounding communities. As a Manhattan native with a competitive athletic background, she takes pride in her work ethic, and ability to go above standard expectations throughout the real estate transaction. She understands that buying or selling a home is more than just a transaction: it’s a life-changing experience. That’s why she is dedicated to providing exceptional, personalized service for all of her clients. She has expert knowledge on new construction, residential re-sale, and REO properties. Jordan is an Accredited Staging Professional and can help you with your home staging needs as well. She is an active member of Manhattan Association of Realtors, Kansas Association of Realtors, National Association of Realtors, and volunteered coaching local youth sports. When she is not working she is spending time with her husband Mitch and their 2 boxers, Maddux and Hosmer. Jordan is also an avid sports fan and can be found playing/watching all sports, especially softball, baseball, football, and basketball. Kelly joined Prestige Realty & Associates, Dawn Schultz’s Team, in January 2016, following a long career as an English and journalism teacher at Wamego High School. As a life-time resident of the area, she is familiar with the locale and what each area has to offer its residents. Kelly specializes as a Buyer’s Agent, carefully assessing the needs and desires of her clients in order to find them the perfect home. She also acts as Client Care Coordinator for the Team, ensuring a smooth and efficient transaction from contract to close. Her outgoing, down-to-earth approach allows her to easily connect with her clients and create a relationship built on trust. Kelly is a K-State alum and enjoys following Wildcat sports. (She is also a huge Kansas City Chiefs and Royals fan.) In addition, she spends every chance she gets hanging out with her two grandsons and riding her Harley. 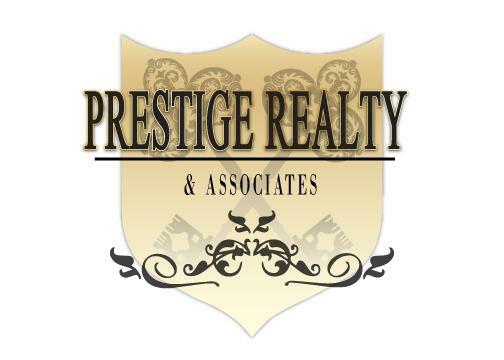 Casey Maransani joined Prestige Realty & Associates in 2014. He believes the main part of his job is not to generate a commission, but to make the buying and selling process as easy as possible by informing his clients of their current market. He strives to maintain an open and honest relationship with all his clients. Rich Wilson is an Army vet, Realtor, CEO of Up Above Image Solution (a drone imaging company) and an investor. His passion for business and his remarkable customer service skills were the stepping stones that guided him through his first 18 year career in the Hospitality Industry. Although he misses some aspect of his old career, his new career in Real Estate is by far the most rewarding. Seeing the smiles on clients' faces after the final closing is unmatched. He is determined to guide all of his customers through the process of purchasing a new home as smooth as possible. Transparent communication, always being available and meeting his his customer’s needs are always at the forefront.